Thistles Shopping Centre, Stirling today announces The Christmas Market, an exciting new offering run by The Crafters Roadshow, running daily until Sunday 30th December. 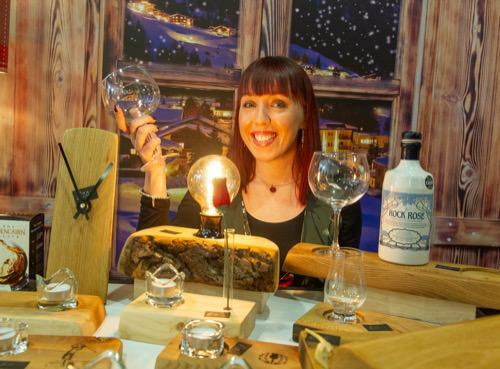 Aiming to spotlight the next generation of great makers, the market promises to bring extra cheer and choice to what is already shaping up to be the best ever Christmas at Thistles. Located in the unit which previously hosted the Marches restaurant, between Primark and the customer washrooms, a fantastic range of stands will transform the centre with handmade crafts and festive food and drink presented in a fantastic festive market. Gift inspirations will range from Harris Tweed home textile décor, unique woollen scarves, candles and melts, Christmas bath bombs, handmade wooden crafts and jewellery, to tastebud-tickling Christmas bakes and cakes, cocktail pick and mix and a fudge and brownie stand. Adding to the attraction will be a prosecco van with a customer seating area as well as a caricature artist. This year’s Christmas opening hours for Thistles have also been confirmed and will ensure the retail therapy is both enjoyable and convenient. These extended opening hours begin on Sunday 18th November for one day with Thistles opening 10.00am – 6.00pm as part of the Christmas Lights Switch On. Black Friday on Friday 23rd November will also see the centre trade longer on this day, 9.00am – 7.00pm. Normal times will apply between Saturday 24th November until Saturday 8th December with the exception of Sunday 2nd and Sunday 9th December both extended each day 10.00am – 6.00pm. Last minute gift inspiration can be found on Christmas Eve 9.00am – 5.00pm with the centre closed on Christmas Day. Thistles will reopen on Boxing Day 10.00am – 5.00pm. Normal trading times will apply Thursday 27th – Sunday 30th December while New Year’s Eve is open 9.00am – 5.00pm. New Year’s Day the centre will be closed, reopening Wednesday 2nd January 10:00 am – 5:00 pm before trading returns to normal from Thursday 3rd January 2019.